What’s the “Milestone Method” of Revenue Recognition? Back in April of 2010, the Financial Accounting Standards Board published new accounting guidance for calculating an often challenging method for recognizing payments on certain forms of revenue. Published as “ASU 2010-17: Revenue Recognition – Milestone Method (Topic 605)”, and discussed in draft abstract form in “EITF 08-9: Milestone Method of Revenue Recognition” on RevenueRecognition.com, the method allows vendors to recognize revenue at the time that a contractual obligation has been fulfilled, instead of applying revenues systematically throughout the term of the contract. However, because of the complexity of dealing with contractual incentives, such as bonuses, the milestone method outlines a few criteria that must be met. One of the key points in this methodology is that a milestone must be an event for which there could be ‘substantive’ uncertainty for achieving this event at the time of contract signing. Although ‘substantive’ is a key word in this process, it still involves a matter of judgement considering either the vendor’s performance to achieve the milestone or the added value of the delivered item or service resulting from the achievement of the milestone. Most businesses may have some projects that may fit into this method of revenue recognition, and others that don’t. As such, an agile financial management solution that can manage variable revenue recognition models can help clarify and streamline these efforts. Contact BTerrell Group for more guidance with identifying and managing varying revenue recognition models. And, if you are concerned about the transition year difficulties imposed byASC 606 – Revenue from Contracts With Customers, we can help you get ahead of the game there, as well! As a CFO, you’ve got a lot of responsibility, and a natural response to that responsibility is to worry. And since your role is inherently sensitive, you may be loath to admit to some of the reasons for your worry. 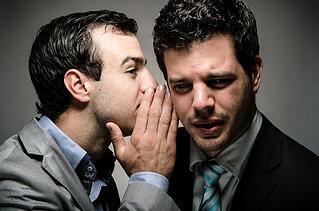 What are some of the “secret truths” that keep CFO’s up at night? Here we’ve assemble five of the most common CFO stressors, and how can a cloud-based ERP help you put the worries aside and focus on running a successful business. Is our technology up to the task? A recent Robert Half Management Resources survey found that 41 percent of CFOs believe staying current with changing technology is the greatest pressure their accounting and finance teams face. It’s a valid concern, as companies that lag behind in technology can quickly lose profitability and market share. How Cloud ERP Can Help: When you invest in a modern cloud-based ERP solution, you are always running the most current version of the application and can take advantage of new features and efficiencies. Updates are seamless and require little to none of your time and effort. Cloud ERP is fast, scalable and extensible – helping you best compete in a rapid-fire marketplace. As the role of a modern CFO is evolves from backoffice accountant to boardroom advisor, they need data to fill that role. In a new survey by the consulting firm Kaufman Hall, 70 percent of CFOs polled said improving reporting and analysis functions is their number one goal for 2017. Over 90 percent say they need to do more with the financial and operations data they do have, to help make critical management decisions. How Cloud ERP Can Help: Today’s ERP solutions gather a tremendous volume of data – but making meaningful use of that data can be a struggle. Cloud ERP solutions include powerful and easy-to-use reporting and analysis tools that enable you to look at your data in new and strategic ways, providing timely information to those who need it. How quickly can we respond to unforeseen business obstacles? The same Kaufman Hall survey showed that business agility remains another top concern. Less than 23 percent of respondents are very confident about their company’s ability to quickly respond and adapt to unforeseen business obstacles, due in part to outdated financial planning and analysis tools and processes. How Cloud ERP Can Help: Cloud ERP solutions are inherently flexible, configurable and adaptable. Many also interface with industry or function-specific applications when your business model needs to change course. Powerful reporting and analysis tools make data available in real time so you can take proactive action when an obstacle arises. How can we ensure continuing regulatory compliance? Forty percent of CFOs cited “changing regulatory requirements,” as their top concern in a recent Deloitte poll. Case in point: the new Revenue from Contracts with Customers (ASC 606) rules (which we’ve written extensively about) impact an enormous number of companies across many industries and can require major changes in the processes and procedures of an organization. How Cloud ERP Can Help: Cloud-based ERP solutions are designed to help you maintain compliance in a constantly changing marketplace. For example, Intacct is the only solution in its class that delivers the functionality companies need to obtain, retain and document compliance with ASC 606. How can we find and retain top talent? Finding and retaining top talent isn’t just the concern of Human Resources professionals, CFOs cite it as a continual - and increasing - concern. 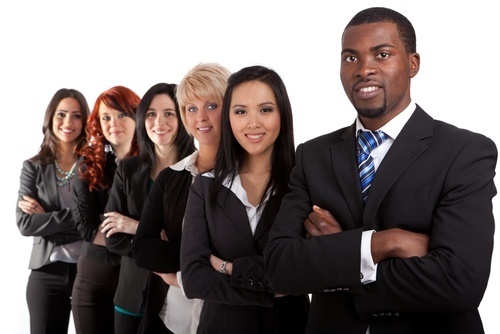 How Cloud ERP Can Help: Millennials now represent most of the available workforce. This is a generation that has grown up with technology and cannot recall life without the Internet. Ask one if he or she has ever heard of a “Blockbuster rewind fee”. Also, Millennials won’t put up with poor enterprise technology. They wouldn’t know what to do with an installation CD nor would they understand the need for one. A modern, cloud-based ERP works the way this generation works. Not insignificantly, cloud ERP delivers the anytime, anywhere, any device access this vital segment of the workforce takes for granted. Are you losing sleep over any of these stressors? We’d love to speak with you about how the move to cloud ERP can help reduce some of that stress and keep your organization moving forward. Schedule a free consultation today. What you need to know to get it done right and done now! The federal government seems to have conspired against us, back-loading an inordinate number of tasks for this time of year – a time when we’re already busy enough! While tax filing and 1099 processing due dates are looming, perhaps the most vital year-end tasks surround payroll processing. It is imperative that you complete payroll year-end processing on time and with the utmost accuracy. Here are a few pointers to help ensure you can check this one off your list and move on the next item. Complete and return the Ameriflex year-end checklist [page 10] to your Ameriflex Client Services Specialist now. You can submit it by fax or email, but do not delay. 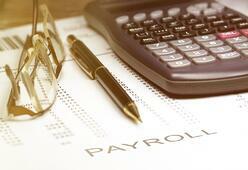 The information here will help Ameriflex help you complete the necessary steps for payroll year-end processing. Next, review the complete Ameriflex 2016 Year-End Packet and use it as a reference and a resource to ensure you’ve gathered the necessary data, completed all the steps and submitted all the information needed. Third-party sick pay: Be sure to get this information from the third-party provider. You’ll need this information by January 6, 2017 to ensure your 941 and W-2s are correct. Be aware, though, that some third-parties pay the tax and file the W-2s on your behalf. If this is true, you should not provide this information to Ameriflex. Taxable fringe benefits: You must report the value of some non-cash fringe benefits on the 941 and the employee’s W-2. Laws require that taxable fringe benefits be included in wages, making them subject to Federal Income Tax, FICA, FUTA and possibly state income and unemployment tax. The laws surrounding this area are complicated, so please contact your financial advisor for advice. Year-end bonuses: If you plan to pay year-end bonuses, it’s vital that you notify Ameriflex at least two business days prior to the check run. Please refer to page 6 of the Ameriflex 2016 Year-End Packet for additional considerations surrounding bonus checks. If your payroll date falls on Monday, December 26th (an Ameriflex holiday), you will need to move your check date to December 23rd or December 27th. If your check date is December 23rd Ameriflex will need your payroll information on Wednesday, December 21st. If your check date is December 27th, Ameriflex will need your payroll information by Thursday, December 22nd. As always, we’re standing by to help in any way. Please contact me at brian@bterrellgroup.com or at 866-647-2611. And a very happy holiday season to you and yours. Yesterday afternoon, the IRS issued Notice 2016-4, which provides unexpected relief to employers distributing those soon to be well-known Form 1095-C information returns to employees. This late Christmas present will be well received by every employer struggling with system update and information gathering challenges. Applicable Large Employers (‘ALE’) and insurance companies now have nearly two additional months to get forms in the mail to employees. This additional time applies not only to Form 1095-C but also to Forms 1094-B, 1094-C, and 1095-B. Who said there wasn’t a Santa Claus? If you are an Intacct end user struggling with ACA compliance or just want more information on fully integrated HRMS and Payroll for Intacct, please contact BTerrell Group. We're ready to discuss the incredible return on investment and decreased total cost of ownership offered by SaaS finance, accounting and HR applications! By Brian Terrell of BTerrell Group, LLP, Intacct and Sage ERP & CRM provider based in Dallas. Users of the AmeriFlex Workforce Management System are enjoying a user interface update recently made that streamlines the navigation experience. As noted on this infographic, “Here’s a sneak peek of your new Workforce…,” the floating navigation bar has been replaced with intuitive icons and links. The search bar has been moved to a more prominent position, so you can find data faster. Other changes include compact icons that replace cumbersome cascading menus and clusters with subheadings that simplify the menu to remove distracting clutter. These and many other enhancements make entering and finding data easier and speedier, which helps you do more work with less effort so you can spend time winning new customers and serving existing ones! Because Ameriflex delivers Workforce software as a service (“SaaS”), clients companies were required to do absolutely nothing to take advantage of these exciting and effective user interface improvements. Imagine how much money you save by having changes automatically deployed on all BTerrell Group SaaS solutions, including Intacct, Workforce Go!, and Nexonia. If your company is still paying large fees to service providers to keep your software current, contact BTerrell Group to learn more about the incredible return on investment and decreased total cost of ownership offered by SaaS finance and accounting applications!